Reel Injun is a sincere and straightforward documentary about cinematic depictions of Native Americans from the silent era to contemporary times. 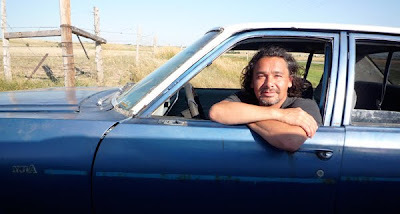 Produced with backing from the National Film Board of Canada, the picture follows Cree Indian director Neil Diamond -- no, not that Neil Diamond -- on a cross-country road trip as he interviews Native American critics, academics, cineastes and standup comics, along with a few non-Indian notables (including Clint Eastwood and Jim Jarmusch, to fashion a mostly critical but ultimately hopeful history lesson. You can read my Variety review here.